Microsoft has upgraded an IT management portal it’s developing for Azure that’s intended to calm the nerves of IT pros wary about moving on premises applications to the vendor’s cloud. 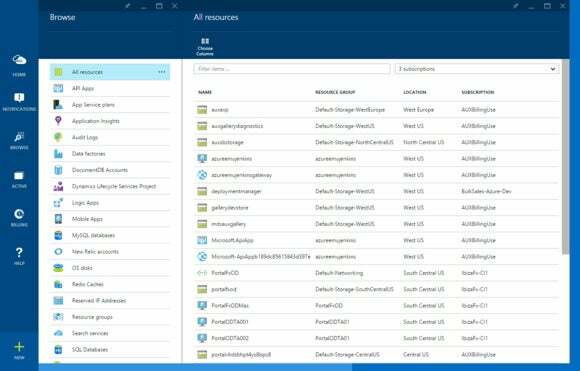 The navigation improvements are meant to simplify how users find Azure resources. For example, the “all resources” view will display a list of items such as web apps and virtual machines that customers own across all their subscriptions. The resources are sorted alphabetically and can be filtered by different criteria, although Microsoft acknowledges the list isn’t complete, an issue it’s working to fix. The interface upgrades let users customize monitoring charts and make it easier to use keyboard shortcuts. If a tile can’t be rendered, there is now a feature for refreshing that individual tile without having to reload the entire portal. As enterprises move more and larger IT systems to the cloud, advanced management functionality is becoming increasingly important to IT pros so that they can monitor and control, to a certain extent, their hosted apps, computing services and data. Gradually, service providers like Amazon Web Services and Microsoft are adding new features to make the IT management capabilities they offer to their customers more efficient and wider in scope. The portal is only available as a preview, and the blog post didn’t offer any details on when it would be generally available. But Microsoft seems to have stepped up the development of the offering. It has been upgraded three times since the end January, and more improvements are on the way.